The film stars George Clooney, Julia Roberts and Jack O’Connell and is directed by Jodie Foster – so there is some serious talent attached! 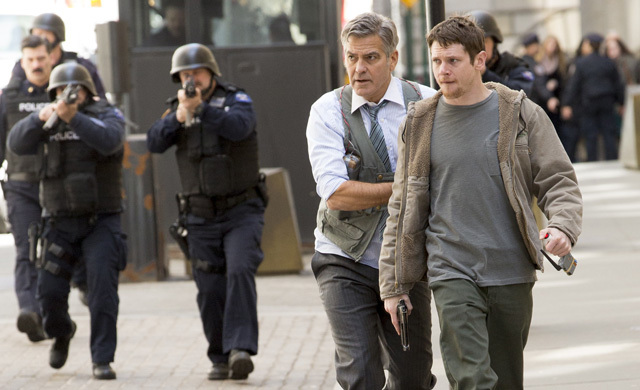 The film stars George Clooney as Lee Gates, a television stock expert, whose programme, and life, are taken hostage by an outraged gunman. As much of the world watches live, Gates must keep himself alive and, with help from the woman who produces the show, uncover the truth behind a tangle of big money lies. It’s thought the film unfolds in real-time. Supporting cast includes Dominic West, Catriona Balfe and Giancarlo Esposito. Money Monster is released in May. Previous PostMeryl, Lupita and Clooney feature in new Oscars postersNext PostIt’s not a reunion!